I bought these jeans a year ago and have never worn them out in public because they perplex me. Why so tight in the thigh, why so baggy below the knee? 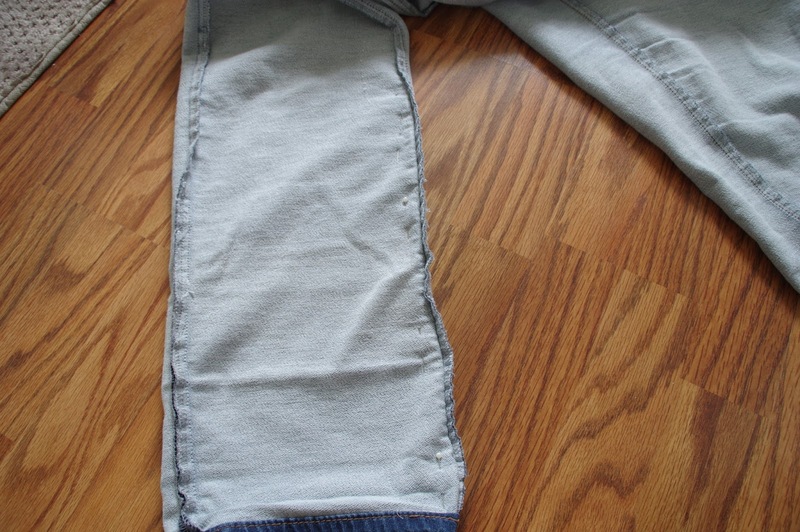 These are the questions I ask, because these jeans make no sense. Finally, I decided to fix the manufacturer’s mistake, and remove the weird, excess fabric below the knees. 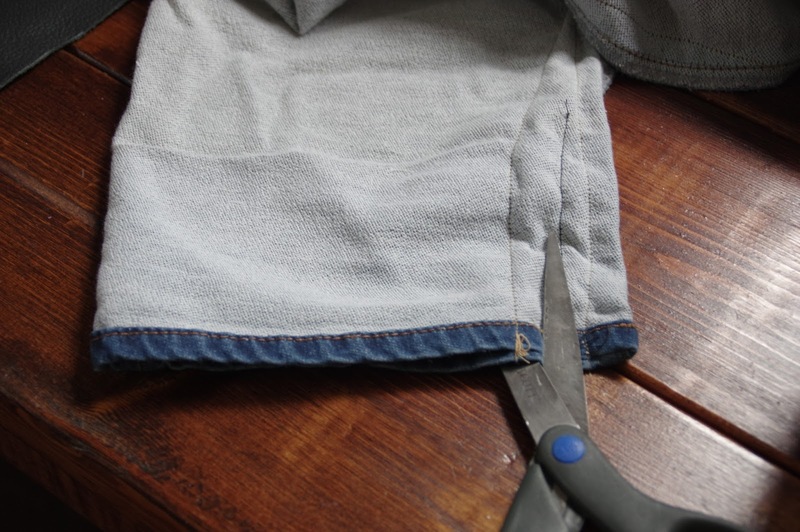 This is done the same way as taking in a shirt or dress – find the original seam, disregard it, and sew a new one. OMG why. Why so baggy. First, I pinned the legs together evenly, inside out. 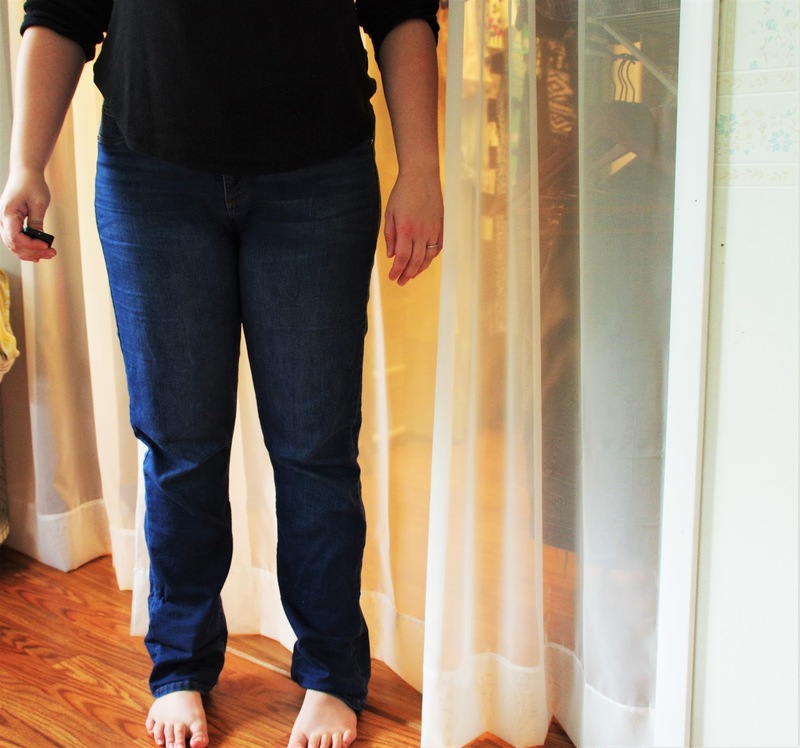 Then, I measured my leg to get an idea of how far up the excess fabric went. Once I had that measurement, I went ahead and sewed a new seam. When I reached the area that fit well and didn’t need to be taken in, I just ran the new seam over to the old one and ended it. I did this several times. They needed to be taken in a lot further than I originally thought. 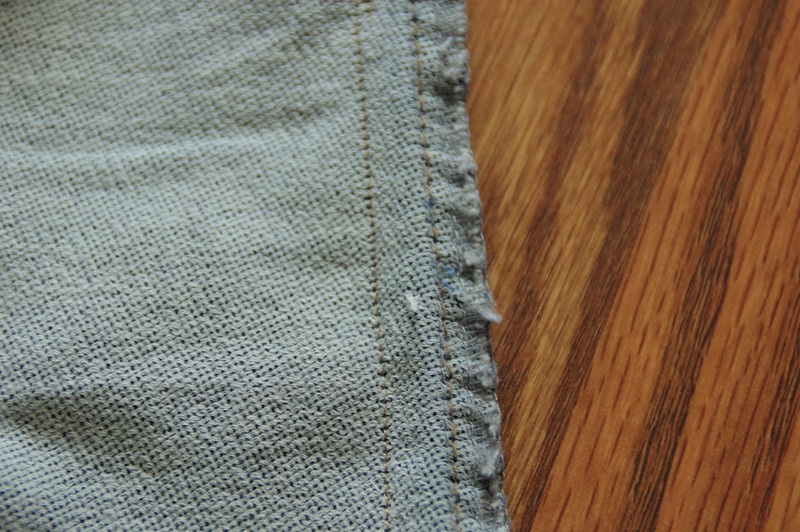 Once I had the fit where I wanted it, I trimmed off the excess fabric behind the new seam, and hemmed the new edge. And now they fit better. Maybe I’ll even wear them in public now. There is still the matter of the extra length around the ankles, but it looks pretty cute when worn with ankle boots, so I’ll let it go. Nice save! Now you can wear and enjoy them rather than being irritated by them. I wore them (in public!) the other day! Finally!